Kolkata: Eight members of civil society organisations in Manipur which have spearheaded protests against redrawing the state's boundary, will today meet with Prime Minister Narendra Modi over the proposed Naga peace accord, whose content has not been made public yet. 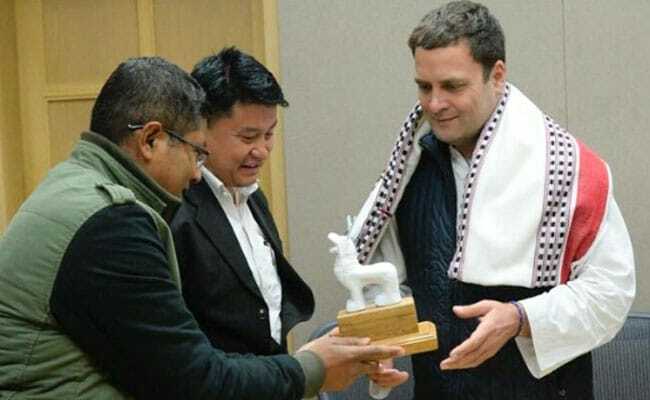 In 2015, a draft peace pact known as the Framework Agreement was signed between the centre and the armed group NSCN(IM), whose stated goal is to form a "Greater Nagaland" with a much expanded territory. This has triggered concern in neighbouring Assam and Manipur about possible loss of state territories, though the centre has in the past assured that state boundaries would not be touched. With assembly elections in Nagaland due next year, the peace accord is likely to be formalised, but the proposed deal is pumping tension across the northeast. The Manipur civil society groups have not ruled out violent protest if the Framework Agreement with the armed group NSCN(IN) tinkered with the state's boundary. 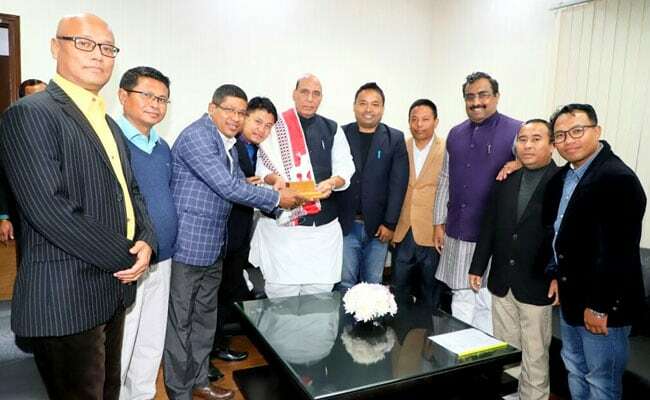 "If the framework agreement is only for Nagaland, give them whatever they want -- sovereignty, flag, passport, whatever," said Johnson Elangbam, chief the United Committee Manipur, which is leading the team to meet with PM Modi. "But if it is going to be linked to Assam and Manipur, our voices must be heard. Or else, there could be a repeat of 2001 and the consequences will be on the centre," Mr Elangbam said. Members of Manipur civil society groups meet with Congress president Rahul Gandhi. In June 2001, 18 people were killed in Manipur's capital Imphal after mobs set on fire the assembly building and the secretariat during a protest against the centre signing a ceasefire extension with the NSCN(IM) "without territorial limits". Manipur's civil society groups at that time had argued that the armed group would take advantage of the ceasefire and roam freely across territories outside Nagaland without being challenged by security forces. Mr Elangbam and members of other civil society groups such as the All Manipur United Clubs' Organisation, and the Committee on Civil Societies have been camping in Delhi since December 16. So far they have met with BJP chief Amit Shah, Home Minister Rajnath Singh, Minister of State for Home Kiren Rijuju, Delhi Chief Minister Arvind Kejriwal, Communist Party of India (Marxist) leader Sitaram Yechury and Congress president Rahul Gandhi. The BJP is looking to replicate its victories in Assam and Manipur in the assembly elections in Nagaland next year. Earlier this month, Prime Minister Narendra Modi launched a couple of infrastructure projects in Mizoram and Meghalaya -- another two states in the north-east where assembly elections are due next year. The Congress lost in Manipur in March this year despite winning the most number of seats but short of majority in the 60-member assembly. The BJP, which won 21 seats, formed a coalition government in the eleventh hour with state parties. In May, PM Modi had said the government aims to make the north-east a gateway to Southeast Asia and was making huge investments in the region.